This is a very special edition of the Sasha Photography Podcast! Today is not just a Friday. It’s the Friday before “The Burn“. 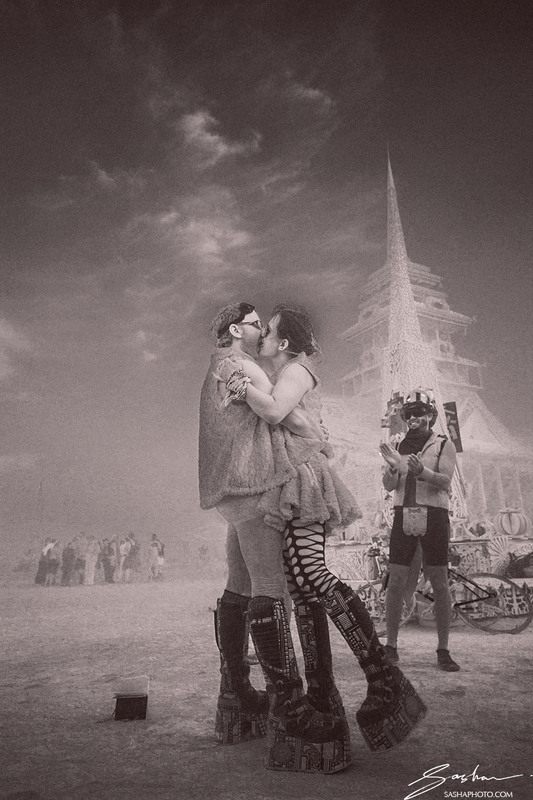 This is the day when many couples that plan to get married at Burning Man head out to have a Burning Man Temple wedding. 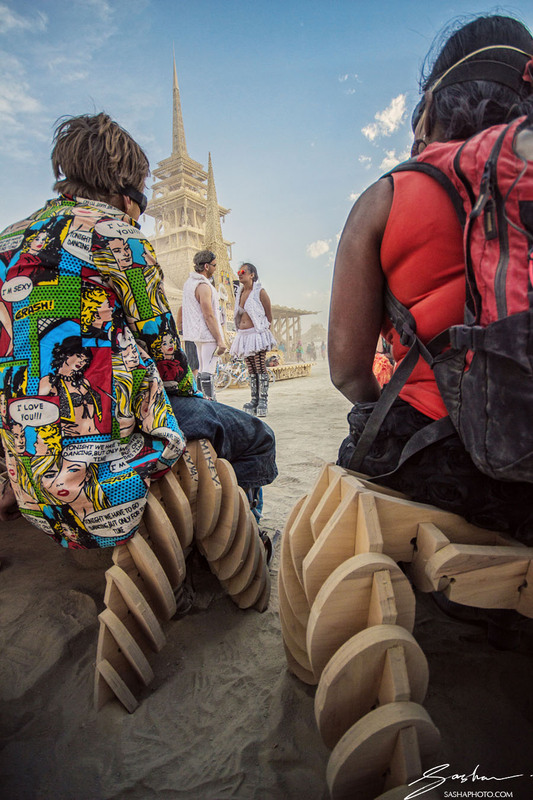 Exactly 5 years ago, I was at Burning Man, where I was lucky enough to attend the wedding of Aleks and Nick, as a friend and unofficial photographer. 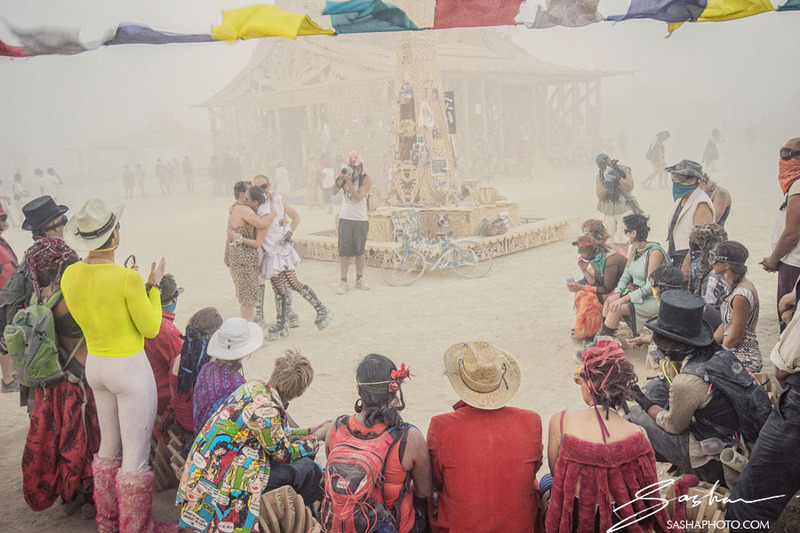 Since Burning Man 2012, our families have become close. Our older kids are just a couple of months apart in age. (In fact, you might hear our kids faintly in the background). But back then, we were just getting to know each other. 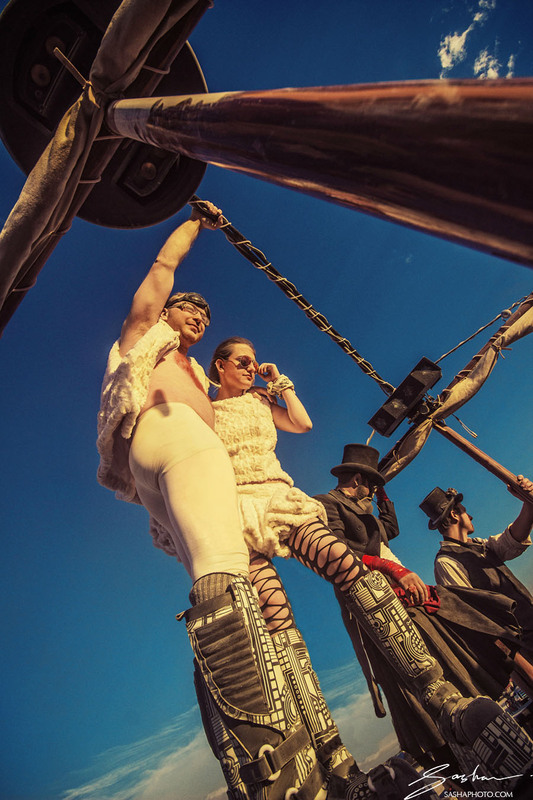 Recently we went on vacation together, and Aleks and Nick were kind enough to share their Burning Man wedding experience with me. 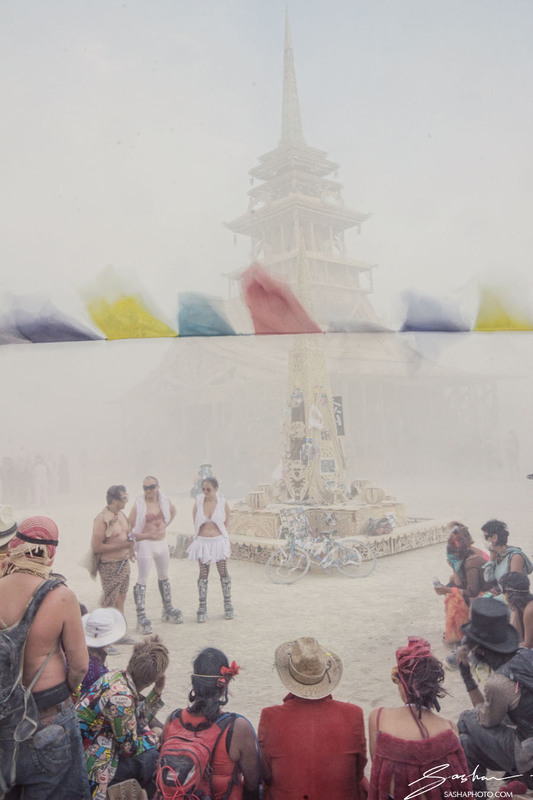 Even though I was there for the ceremony, and most of the party afterwards, it turns out that there’s much about their Burning Man Temple wedding experience that I didn’t know. 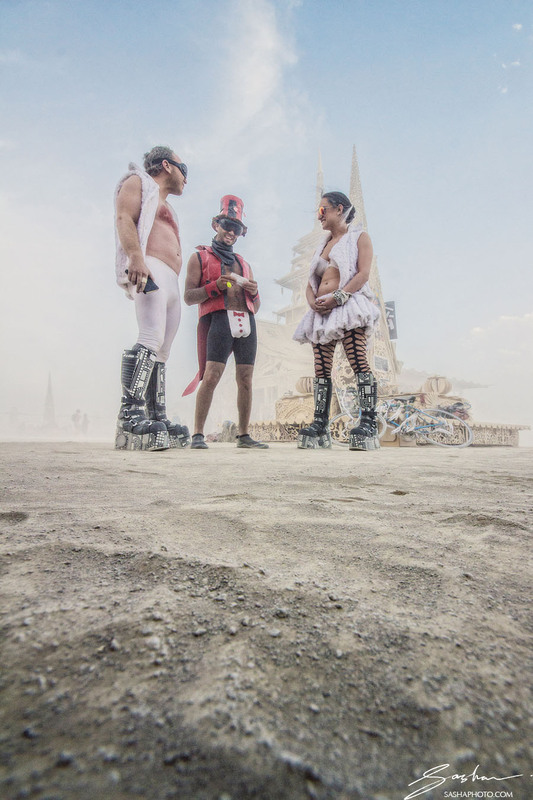 Throughout the podcast, you’ll hear Aleks say: “The Playa will provide.” Indeed, the Playa provided plenty of surprises, intensity, and indelible experiences. 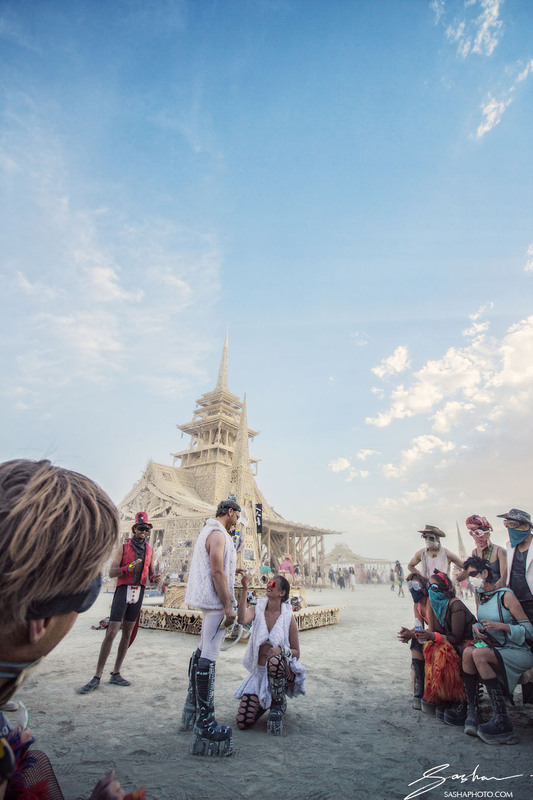 Nick and Aleks are passionate music fans, and like music, their Burning Man Temple wedding day (and night) had many moments of tension and resolution. You can see a lot of the ceremony moments captured in the photographs below. 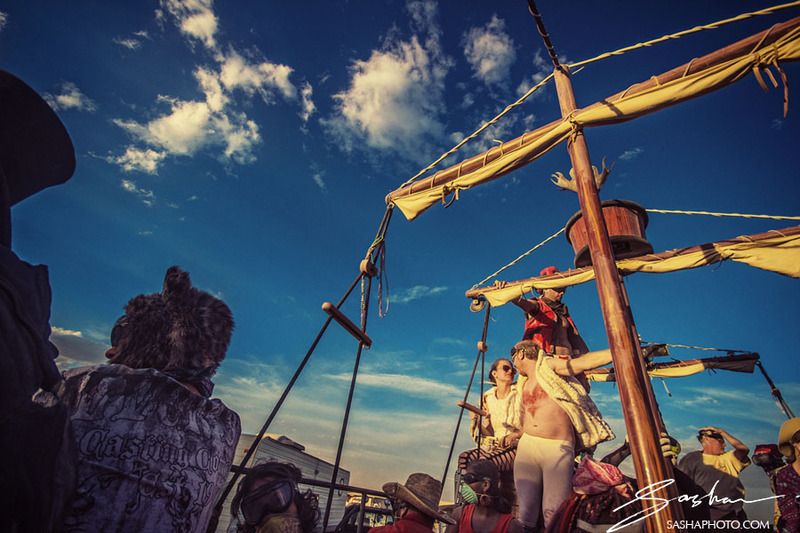 Hopefully you can appreciate the awesome outfits that the couple furiously prepared for the event. Also featured: “possibly the biggest dust storm of all time”. Note the magical clear skies that accompanied them on the ride back to camp. 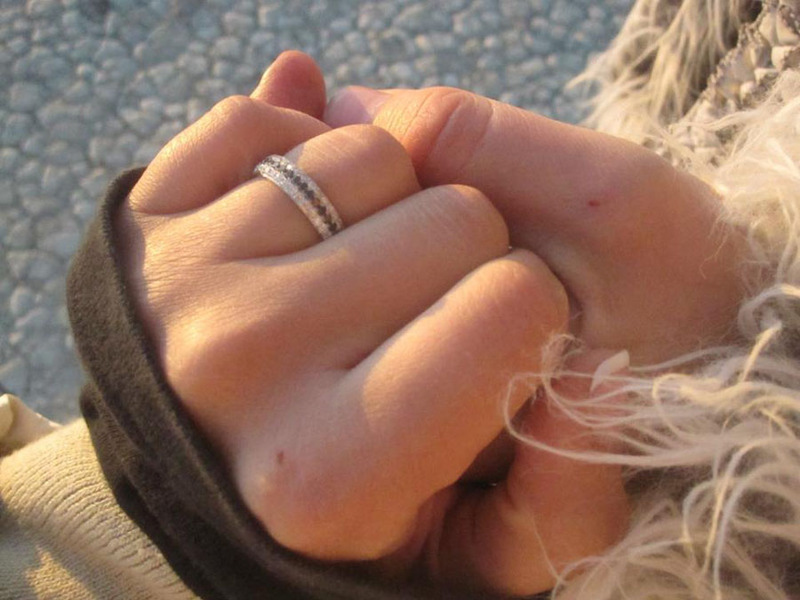 I don’t want to give too much away here – I’ll let the couple tell it. 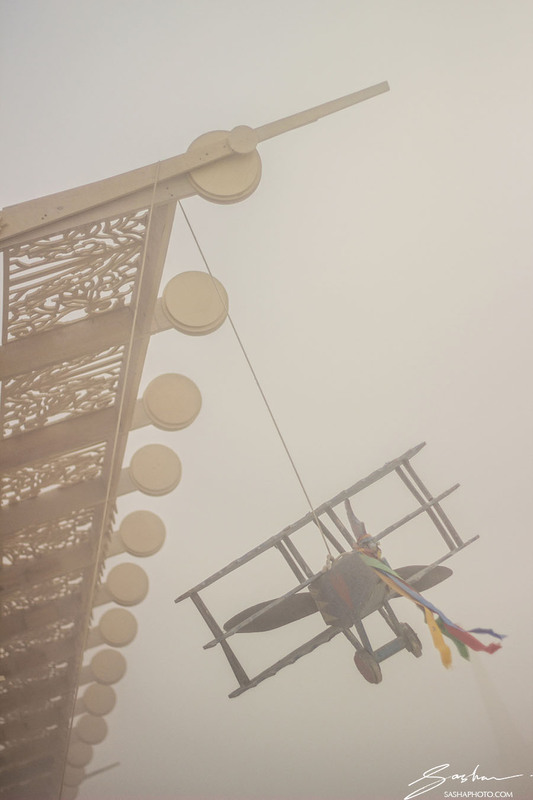 Nick and Aleks get engaged at sunrise, Burning Man 2011. Photo courtesy of the couple. Nick and Aleks celebrating on a San Francisco rooftop, back in the “default world”.